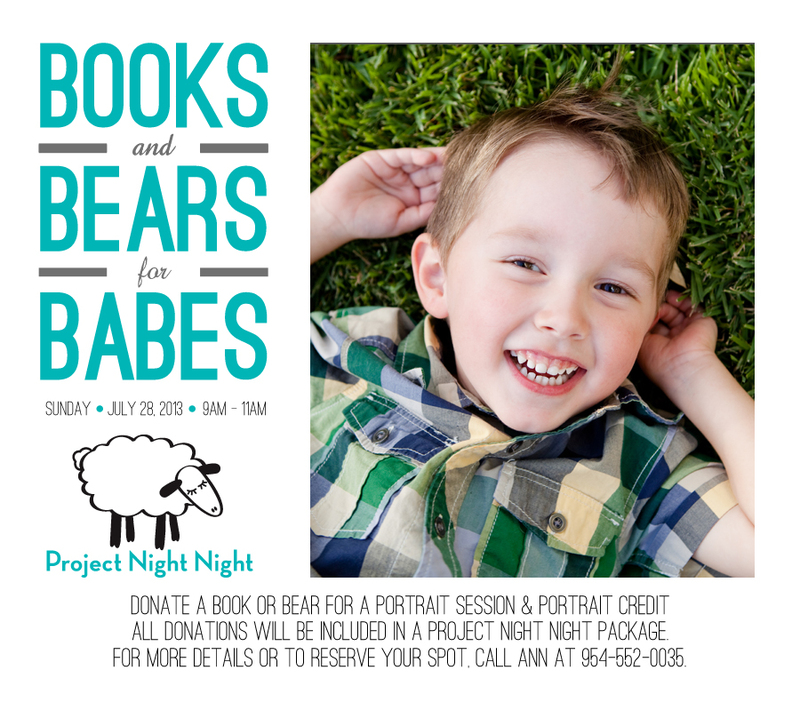 Books & Bears for Babes - Rescheduled! Due to inclement weather, the Books & Bears for Babes event has been rescheduled to Sunday, July 28th from 9:00 am to 11:00 am (by appointment only). Help us at Ann Remotigue Photography create Project Night Night packages to be donated to homeless children at a local shelter. For more information please call Ann today at 954-552-0035.